my best stay ever ... I stayed in this resort with my brothers wedding as a main reason. The wedding was organisedby the owners of the resort and it was just Fabulous!!! This surely was something never to forget. Unlike any other resort in the area, each of our accommodations has its own design and characteristics. The details of each room were painstakingly researched from the ancient Lanna era. The resort boasts accommodation on a grand scale from 60 m² to 300 m². The balconies of the colonial suites enhance the senses of our guests in terms of open space and palatial living. Oriental Siam Resort is a charming and intimate resort, a truly wonderful, relaxing and hospitable place with excellent service. All villas are unique, exclusive and substantially built in ancient Thai-Lanna style with large well-appointed separate bedrooms, dressing rooms, bathrooms with access to private garden and large terraces overlooking the resort pond with tropical gardens. The interiors are hand-crafted by local artisans craftsman-built teak furnishings and well equipped including 42/ 37 LCD TV, DVD. Resort facilities include restaurant, internet cafe, library, swimming pool and fitness room. The Oriental Siam Resort is more than just a place to stay, we provide service to the highest standard and will help you make the most of your stay in Chiang Mai. The luxurious facilities and serene atmosphere provide an environment to relax and enjoy after a day of sightseeing or a round of golf at the beautiful local courses. 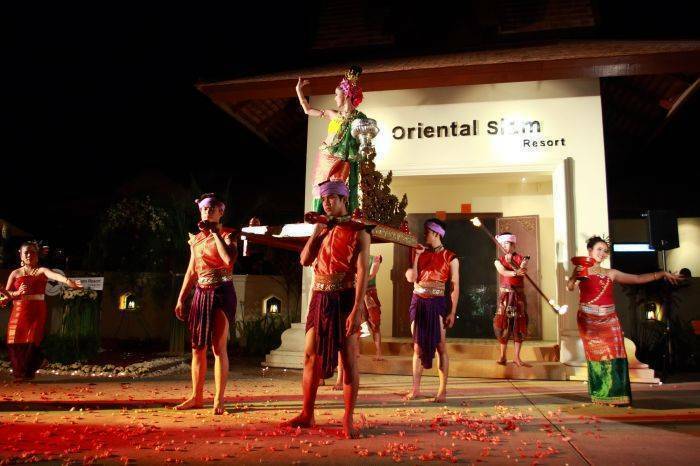 At The Oriental Siam Resort we promise you an experience you will never forget. The villas are substantially built in the Lanna style each having a large roofed terrace, overlooking the pond and tropical gardens for relaxing or enjoying your room service meals. The interiors are luxuriously appointed with craftsman built teak furnishing, flat screen TV, DVD, and reasonably priced mini bar. All villas have separate dressing/beauty rooms and have large quality fitted bathrooms. The floorings are ceramic tiled or finished with quality antique polished teak boarding and all bedrooms have air conditioning. Leelawadee Deluxe Villa Is 60m2 in area and has one bedroom with King size bed, a separate dressing/beauty room and luxury bathroom with shower, bath, washbasin. The bedroom opens to a roofed terrace area with teak benching overlooking the tropical gardens and pond. 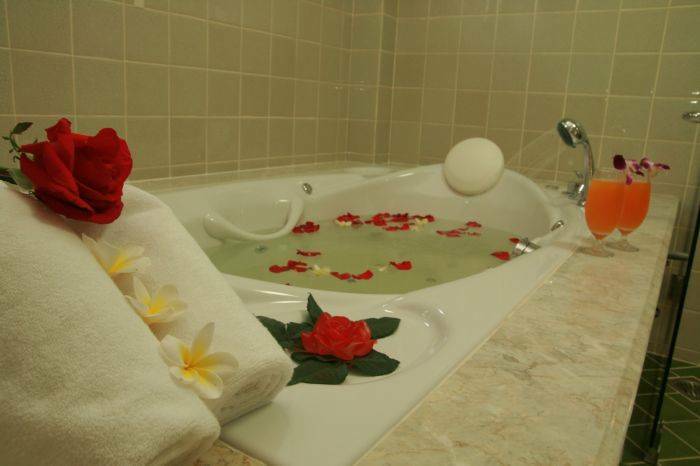 Jasmine Honeymoon Suite Villa Is 80m2 and has one bedroom with King size bed, a separate dressing/beauty room and luxury bathroom with shower, bath, washbasin. There are two roofed terraced areas with teak benching one over looks the tropical gardens and pond the other is private and located in the centre of the house with access to the small private garden. Ninnéth Superior Family Villas The Ninnéth and Fuangfhá Villas are twin villas and can be reserved together for family occupation or separate villa rental. The villas are bridge linked over the lazy river a total area in excess of 106m2. 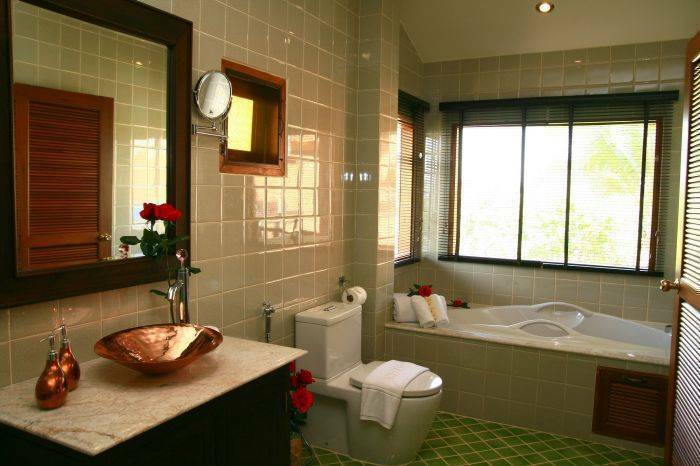 Each villa has bedrooms with separate dressing/beauty room linking to luxury bathrooms with indoor shower & bath, washbasin. Each unit has roofed terrace areas with teak benching overlook the tropical gardens and the pond. The Villas access a private garden to the rear with waterfall, outdoor showers and have natural shade from palm trees. Fuangfhá Superior Family Villas The Ninnéth and Fuangfhá Villas are twin villas and can be reserved together for family occupation or separate villa rental. The villas are bridge linked over the lazy river a total area in excess of 106m2. Each villa has bedrooms with separate dressing/beauty room linking to luxury bathrooms with indoor shower & bath, washbasin and there is also a fully equipped kitchen. Each unit has roofed terrace areas with teak benching overlook the tropical gardens and the pond. The Villas access a private garden to the rear with waterfall, outdoor showers and have natural shade from palm trees. Orchid Deluxe Villa Is 60m2 in area and has one bedroom with King size bed, a separate dressing/beauty room and luxury bathroom with shower, bath, washbasin. The bedroom opens to a roofed terrace area with teak benching overlooking the tropical gardens and pond. The Oriental Siam Resort is conveniently located in a village setting next to a beautiful Temple, just 10 minutes from both the city centre and the airport. The resort also close to the Mandarin Oriental Dhara Dhevi hotel Chiang Mai, Arts & Handicraft villages, the Underground Ancient City nearby and many tourist attractions including modern shopping centers, local markets and golf courses. Within 20 minutes drive, there are hot springs and an ancient Buddhist cave. The famous Doi Suthep temple and the Winter Palace are 45 minutes away at the top of the mountain where you can enjoy the scenery and fresh mountain air. The elephant training camps are located in the mountain region where the elephants can be seen, ridden and fed each morning before they return to their natural habitat. 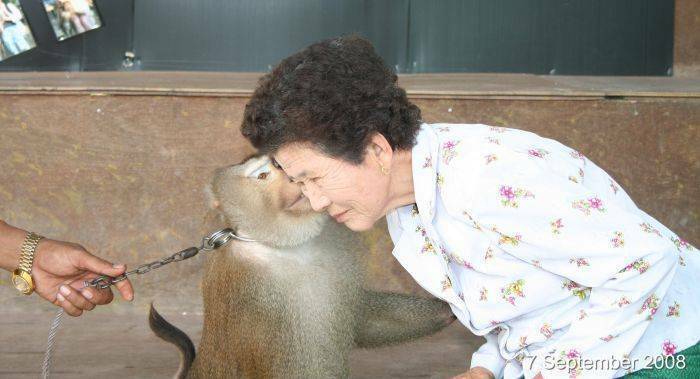 You can also visit the waterfalls, orchid farms, a snake farm and monkey school. For the more adventurous the jungle trekking, elephant riding and the hill-tribes villages are an experience not to be missed. The thrill seekers can visit the extreme sports centre with bungy jump, karting, paintball, white water rafting etc. Mae Ping River Cruise - 5 Km. Night Safari 7 Miles / 11 Km. Night Bazar & Day Market - 5 Km. Hot Spring & Cave - 8 Km. Three Kings Monuments - 7 Km. Fishing park - 3 Miles / 5 Km. Golf courses 6 Miles / 9. 5 Km. Orchid, waterfall and Butterfly Farm - 17 Km. Horse back riding -3 Miles / 5 Km. Elephant Training Camp & Monkey & snakes shows -19 Km. Underground Ancient Temple -5 Km. Doi Suthep Temple & Royal Winter Palace -15 Km. Rates inclusive: American breakfast, Round trip transfer, Free internet access, Free usage of bikes, Welcome drink and Fruit plate upon arrival. A Half day sightseeing to Arts & Handicraft home industrial tour is free of charge with a minimum stay of 2 nights. ·	Notice of cancellation 14 days or less prior to arrival date (local time), a one-night room charge penalty for each room booked will be applied. ·	Notice of cancellation 2 days or less prior to arrival date (local time) or in the event of no show, a 100 % of the entire value of the reservation will be charged with a minimum of a one-night room charge. Worry free; we will arrange transportation to pick you up from Chiang Mai Int'l Airport, Railways station, bus station or wherever you are in Chiang Mai city. 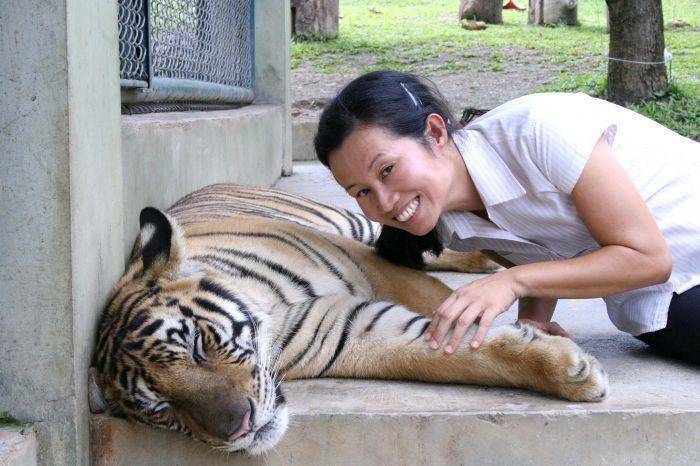 Nearest airport: Chiang Mai International Airport 4 Miles / 6.5 Km.